The Duff Guide to Ska: Duff Review: Phoenix City All-stars "Clash Version Rockers"
Duff Review: Phoenix City All-stars "Clash Version Rockers"
Given the depth and variety of The Clash's formidable catalogue, it was probably a shrewd move for the Phoenix City All-stars (led by Pama International/London International Ska Festival's Sean Flowerdew) to crowdsource the selection of tracks they'd cover for their fourth album, Clash Version Rockers (winnowing the choice of all of those magnificent Clash songs down to a manageable number is no easy task). So, they informally polled their followers on Facebook to sort out what the people wanted and simply gave it to them. The resulting album is comprised of bulletproof fan favorites ("White Riot," "Career Opportunities," "White Man in Hammersmith Palais," "Guns of Brixton," etc. ), which definitely guarantees the album wide appeal. 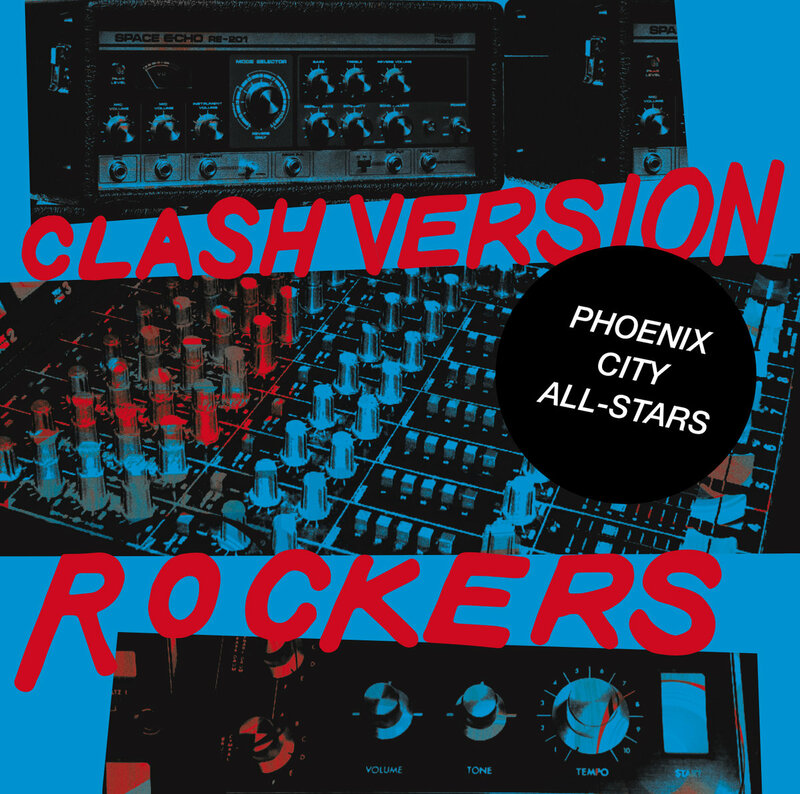 But if this seems like it was a safe move, the Phoenix City All-stars pulled out all the stops and delivered some fantastic re-imaginings of these Clash cuts, and their versions of the non-reggae originals, in particular, are spectacular. The Clash's beloved, almost sacred songs couldn't be in better hands. 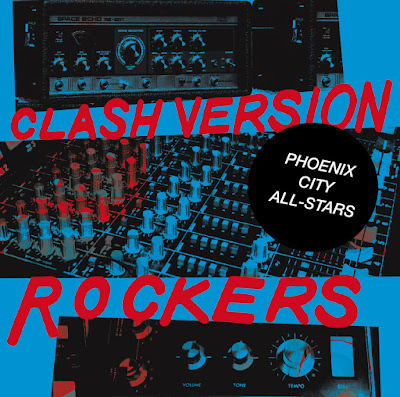 Breaking away a bit from Phoenix City All-stars' previous mission of re-working 2 Tone, Rolling Stones, and Dexy's Midnight Runners tracks as vintage '60s ska songs, these are stripped down, '70s rockers style dub takes on Clash classics--just vocals, keys, bass, and drums (by Jewels Vass, Sean Flowerdew, Ryan Windross, and Bullit, respectively), not one note on guitar is heard on this record!--all of which were deconstructed and reassembled (with all sorts of incredible audio effects liberally applied) by ace dub mixer Al Breadwinner in his analogue studio. Their collective work makes Clash Version Rockers sound very much like it was released in the wake of Sandinista and not a new album that was recorded almost four decades on. "Tommy Gun Dub" (the original decried terrorism and the killing of innocents, while coming dangerously close to mythologizing the perpetrators) opens just like the original with bursts of machine gun-like drumming (in this case by Bullit!) that quickly shifts into skittering and slippery Jungle-like percussion, as the bass plays the vocal line and the listener forgets the original's rockist trappings. Mick Jones' guitar solo is repurposed here by the keys and used as a marvelously triumphant (and martial-like) means to close the song. Shedding the source's fury, Phoenix City All-stars' haunted and dread-filled version of "London Calling" gives the impression that Vass is broadcasting her illicit message of resistance from a cupboard in the ruins of a building (her vocals fade in and out as if we're losing her signal--or is it being jammed by the authorities?) and drives home how the imagined dystopian/fascist/post-apocalyptic future of the original is closer to being realized than ever before. And wants to be free"
Towards the end of the track, Vass repeatedly sings the phrase, "Can we get the world to listen?" The answer--as ever--is far from clear ("everybody hold on tight!"). Despite its winning, ballsy punk bravado, I've always thought the self-mythologizing "Clash City Rockers" was sort of a throwaway track (and unnecessary Who rip-off)--but it's brilliant in this interpretation. As with most of the dubs on this album, the bass takes the vocal line for the verses (you'll find yourself singing along in your head, if not out loud) and gives it a seriously heavy, danceable groove. It's completely stellar! Even if you're a vinyl purist, spring for the CD in addition to the LP, as the bonus cuts are essential! The killer dub of "This is Radio Clash" has more bite and menace (and sounds like it could have come from Massive Attack vs. Mad Professor's No Protection; check out that viscera rattling atomic blast effect). Vass makes a very persuasive case for forgiving her father's non-violent crimes in "Bankrobber" (no jury would convict). And even though I desperately want to hear her sing the entirety of "White Man in Hammersmith Palais," it's a really interesting choice to have Vass stop her vocals after the "...and if they've got anything to say, there's many black ears here to listen" lyric. In depriving the rest of the song of all of Joe Strummer's pointed commentary about the '78 reggae and punk rock scenes, lack of unity between black and white youth, and soullessness of our fame-obsessed culture, it casts the track in a new light--changing its meaning to make it about black music fans enjoying the performance of and message in reggae music, and then focusing the listener's attention solely on Phoenix City All-stars' deft versioning of Strummer's remarkable music. Anyone who still fervently holds the belief that The Clash are "the only band that matters" will definitely need--and completely love--this record. 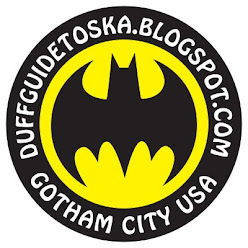 To read more about Phoenix City All-stars, check out The Duff Guide to Ska reviews of their Two Tone Gone Ska, Skatisfaction, and Searching for the Young Ska Rebels albums.